Post-course therapy is a complex of drugs and sports supplements that are used in bodybuilding and strength sports in order to minimize side effects and complications after a cycle of steroid hormones or prohormones. Post-course therapy is especially important when large doses of hormones are used or two or more anabolic drugs are taken at the same time. You should be aware that when steroids are canceled, muscle mass will be lost. It’s unavoidable! No matter how correctly the rehabilitation therapy is carried out by you, you will lose a part of the gained mass. To understand this, you can make very simple calculations. On average, 5 mg of a male hormone is synthesized per day in the body, which corresponds to one tablet of methandienone. As a result, the body produces about 35 milligrams of testosterone in a week. Now remember how much AAS was used during the cycle. In total, from three steroids over the course of a week, the body received more than 1,500 milligrams of testosterone. The difference between 35 and 1500 milligrams is quite substantial. Thus, we can draw the following conclusion: restorative therapy is not designed to fully preserve the mass accumulated on the course, but in order to not lose more than necessary. Weight loss is directly dependent on the dosages of steroids. A larger dose is a big loss. With a long pause between cycles, more muscle mass will be lost. At lower dosages of drugs, losses after the cycle will be smaller, as well as gain. Long breaks between cycles contribute to the full recovery of the body. Restoration of the hormonal system, or otherwise speaking the balance between female and male hormones. Restoration of libido and spermatogenesis process. When solving the first problem, this problem will be eliminated automatically. Restore normal functioning of the liver. Restore the balance between bad and good cholesterol. Reduce the level of cortisol, thereby reducing the loss of muscle mass. Now we should deal with each of the above tasks in more detail. Very often, to achieve a normal ratio of female and male hormones is quite difficult. The normal testosterone to estradiol ratio is in the range of 200: 1 to 300: 1. If it was possible to achieve such an indicator, then the body returned to normal functioning. What can interfere with the recovery process? First of all, the artificial male hormone prevents the body from recovering. To restore the normal speed of testosterone synthesis, you should wait until the steroids leave the body. Tip: Pay attention to the half-life used on the course of steroids. In the cycle considered today, the last injection will work for two weeks. Therefore, it is possible to start working on the restoration of the synthesis of the natural hormone only from the eleventh week. Estrogens can also be a serious obstacle to restoring the synthesis of the natural male hormone. Since the process of aromatization took place during the cycle, due to the high level of estradiol, increased synthesis of prolactin began, which significantly enhances the effect of the female hormone on the body. In this moment lies the whole complexity of the situation. Prolactin inhibits the activity of the yachin axis and testosterone synthesis slows down Simply put, even a decrease in the level of estrogens with a high content of prolactin will not allow to restore the synthesis of testosterone. In this regard, you can give one piece of advice: the first thing is not to restore the synthesis of the natural male hormone, and reduce the levels of prolactin and estradiol before the start of rehabilitation therapy. It is before the start of therapy, and not after it. Let me remind you that letrozole is used to reduce the level of estrogen, and dostinex is used to combat the high level of prolactin. Having done this, you can safely do the restoration of the synthesis of testosterone, libido and the process of spermatogenesis. In this case, you will have to use additional drugs in rare cases. 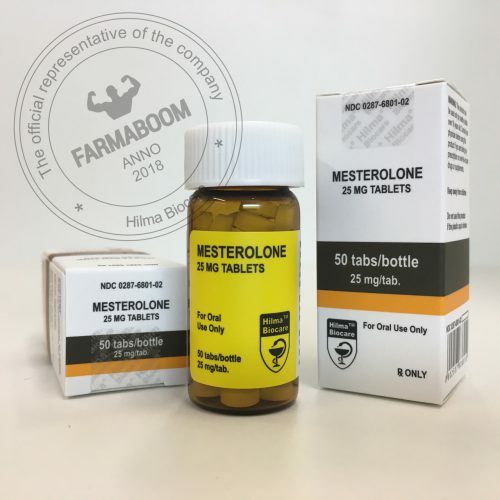 This is due to the peculiarity of Letozol not only to reduce the level of estrogen, but to increase the synthesis of testosterone. There are two dosage regimens of letrozole. The first of these implies the use of the drug during the anabolic cycle, and the second – after its completion. When using Letrozolavo course time decreases the likelihood of side effects, but decreases the efficiency of the cycle. When using the second scheme, everything happens the other way around. 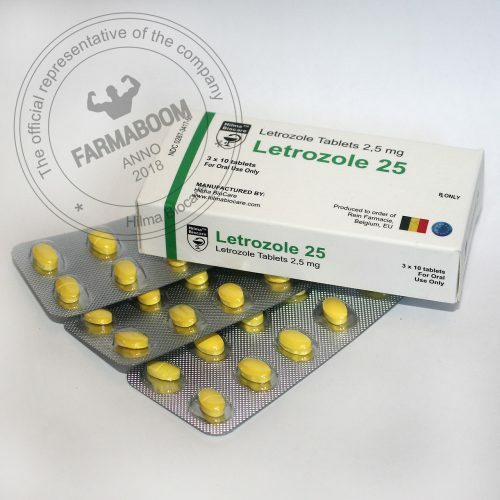 During the course, the dosage of letrozole is 1 tablet per week. This amount of the drug should be divided into two or three equivalent doses. This is a prophylactic dosage. To eliminate the symptoms of gynecomastia and flooding, 1 tablet per day is taken until the symptoms disappear. After this, it is necessary to switch to prophylactic dosage. The optimal dosage of letrozole should be selected individually. Take the drug if necessary. To determine this point, tests should be performed 3-4 weeks after the end of the cycle (in the course described, long ethers are used). These results will show the optimal estrogen content. Then you need to monitor this indicator, passing the tests further. You probably don’t have to do everything described above on each cycle, since after a couple of three courses you can understand how active aromatization is going on in your body. To answer this question, you should understand what these drugs are used for. Clomid to a greater extent stimulates the synthesis of LH and is a weak antiestrogen. It should also be noted that Clomidase is capable of reducing the production of IGF-1 by the liver and does not increase LH receptors. In turn, Tamoxifen is the opposite of the described properties. Thus, we can say that due to Klomidou better stimulates the synthesis of natural testosterone, but estrogens are blocked worse. With Tamoxifen, the opposite is true. If you say which of these two drugs is better, then Tamoxifen, since it reduces the level of estrogen more actively. However, it is still better to use Letrozole. The first thing you have to do is wait for the steroids to complete their work. Then it is necessary to carry out the loading and only after that to start taking the working dosage. The loading dosage of Clomid is 200 milligrams per day, dividing this amount into 4 equivalent doses. Increased working – 100 milligrams during the week. Then you should go to the working dose of the drug, taking 50 milligrams daily for three weeks. When using Tamoxifen, the dosages will be as follows: intake – 80 milligrams four times on the first day; increased work – 40 milligrams; WORKING – 20 milligrams. It should also be said about another feature of Provinone – the release of testosterone. This is due to a decrease in the synthesis of SHBG. During the long course, the use of the Pro-rate can be justified, and during the course of rehabilitation therapy – no. Dosage: Usually Provirone taken in the amount of 50 milligrams throughout the day. Remember, we aim to bring estrogen, progesterone, cortisol and testosterone to the same level. In PCT, we try to achieve equilibrium on the axis of the hypothalamus-pituitary-testes, normalizing FSH (follicle-stimulating hormone) and LH (luteinizing hormone). To save hard earned results is our priority.